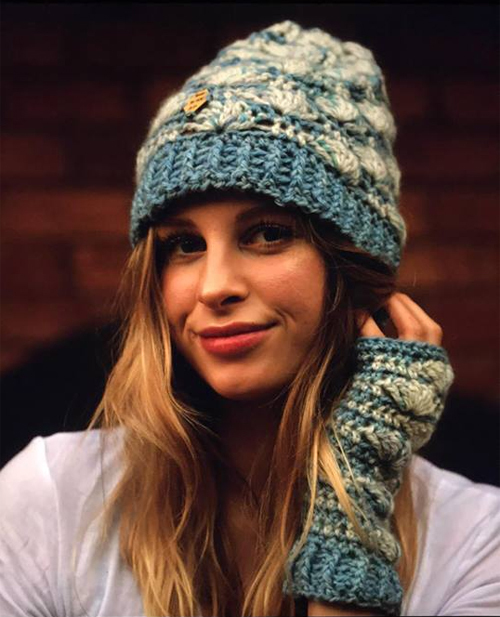 Create a perfectly lacy crochet set of beanie and matching gloves using the Shell B Mine Set. If you are an intermediate level crocheter, you will find these patterns easily achievable. Shell B Mine Crochet Patterns have been tested by independent crocheters (some of their amateur photos are in the gallery). These patterns are instantly available in both standard US terms and Standard UK/AU terms, with step-by-step instructions and photos to help guide your hook to completion. Want more "Shell Be Mine" designs? Shell B Mine Cowl, Scarf and Shawl – join my VIPs to find out when they’re available! Would you like to purchase some ready-made” Shell B Mine Mitts or Beanies? Many of the pictured gloves and hats will soon be available, ready to ship (and made to order) from my sister site, HERE – my VIPs have first selection!